10th July, Wathin, Khonsa: It was the long cherished dream of the Catholics of Wathin village to have pukka Church in their village. 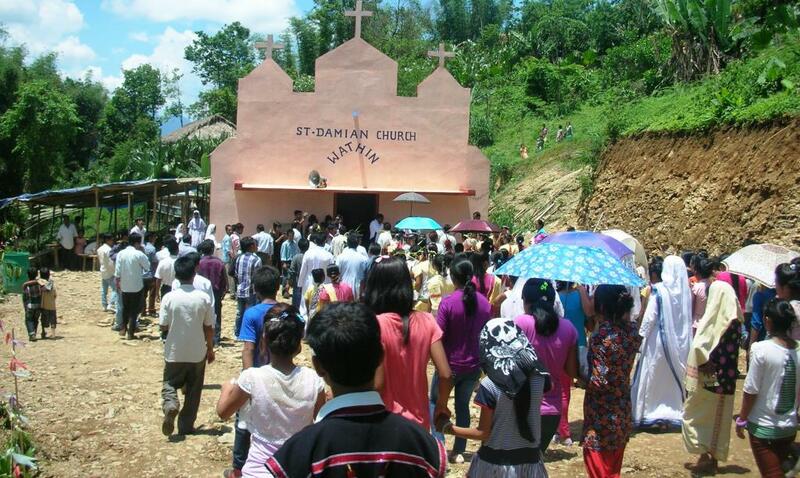 The people in Wathin village had been using a bamboo structure as Church ever since they became Catholics in 2001. It had dilapidated over the years and the people had longed to have a new pukka Church. They had approached the bishop for help. Bishop asked Fr. P.T. George, the Parish Priest of Khonsa to take the initiative to build a Church in the village.